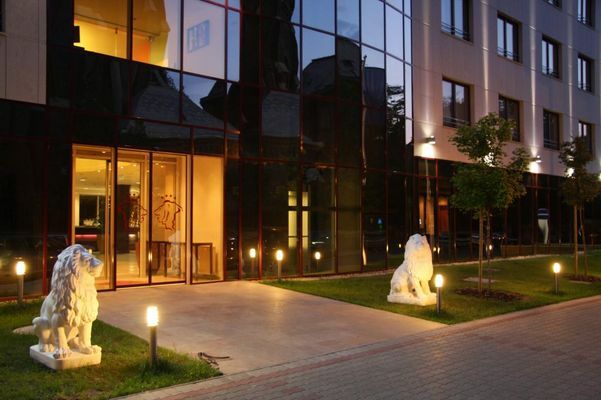 New four star hotel with swimming pool, jacuzzi and sauna near to the City Park. Thanks to its favorable location the Heroes' Square and the Andrássy Avenue are just a few minutes walking away. A warm and cordial welcome to the Lions Garden Hotel in Budapest. 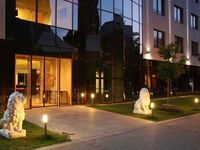 Our newly built Boutique Hotel in the heart of Budapest is ideally located for business and leisure. You will enjoy its charming interiors that reflect a genuine sense of style. The city's sights and the nearby City Park Városliget, the Pusk.s Ference Stadium, Heroes' Square and the famous Andrassy Boulevard are only a couple of minutes' stroll away. Fashionable, turn-of-the-century villas and embassies cluster around our hotel that directly faces the Rózsafüzér Királynéja Plébánia Cathedral. The star designer Buki Zuker has done all he could to create a harmonious symphony in warm earthy colour combinations that unite different elements from the 60's,70's and 80's.We are sure that you will feel comfortable in the elegant and tastefully contemporary furnished 107 non smoking comfort bedrooms. In-room amenities: private bathroom with shower, hairdryer, make-up mirror, mini-bar, satellite television with pay-per-view facility, wireless high speed internet access, direct dial telephone on the writing desk and at the bedside, reading chair and lamp, radio, alarm-clock, air-conditioning, in-room safe. • Half board is available at 20 EUR per person. • Garage is available for guests at 15 EUR per car per day.